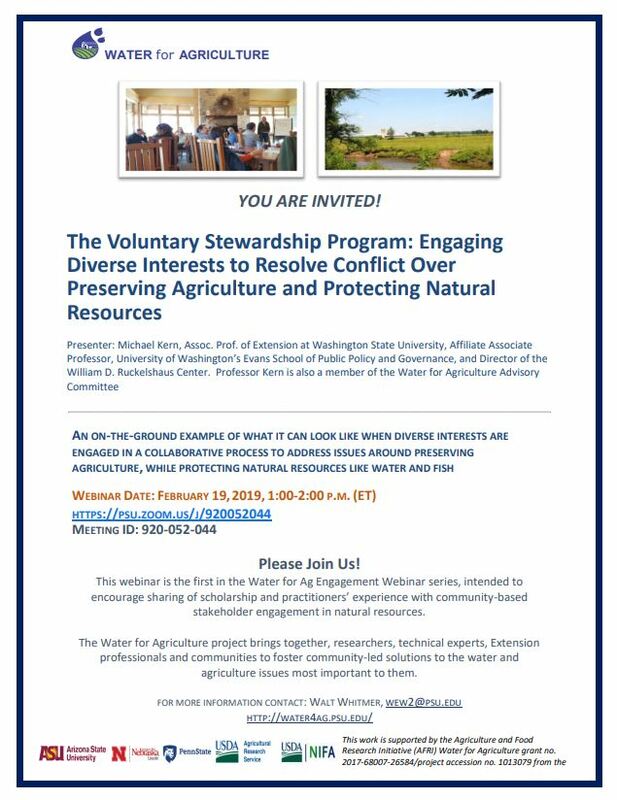 The multi-disciplinary Water for Agriculture project is hosting a webinar on February 19t, 2019, at 1 p.m. EST on the Voluntary Stewardship Program. The webinar will offer an on-the-ground example of diverse interests engaging in a collaborative process to address issues around preserving agriculture while protecting natural resources like water and fish. For more information, see the attachment or visit the event page.